"Cortlandt Street (IRT Broadway–Seventh Avenue Line)" redirects here. 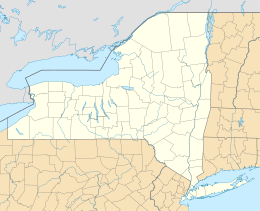 For other uses of "Cortlandt Street", see Cortlandt Street (disambiguation). Station platforms on reopening day, facing north. 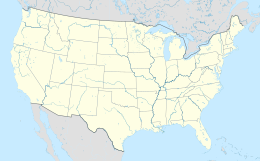 WTC Cortlandt,[a] additionally signed as World Trade Center on walls and formerly known as Cortlandt Street and Cortlandt Street–World Trade Center, is a station on the IRT Broadway–Seventh Avenue Line of the New York City Subway in Lower Manhattan. The station is located under the intersection of Greenwich Street and Cortlandt Way within the World Trade Center. It is served by the 1 train at all times. The original Cortlandt Street station was built by the Interborough Rapid Transit Company (IRT) and opened in 1918. The station was renovated in the 1960s when the original World Trade Center was built. Around that time, the portion of Cortlandt Street above the station had been demolished to make way for the World Trade Center. The Cortlandt Street station was destroyed on September 11, 2001. 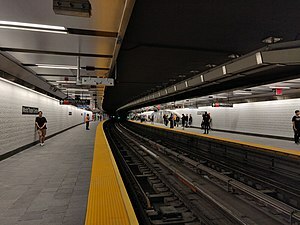 Although service on the Broadway–Seventh Avenue Line was restored in 2002, the station's reconstruction was delayed until 2015 because the Port Authority of New York and New Jersey had to first rebuild the World Trade Center PATH station beneath it. After an extensive $158 million reconstruction, the Cortlandt Street station reopened on September 8, 2018, as WTC Cortlandt. The station contains connections to the PATH at the World Trade Center station, as well as an out-of-system passageway to the Fulton Center subway complex via the World Trade Center Transportation Hub. This Vickers mosaic was located in the station until it was removed in 1965 as part of a renovation. It is now located at the New York Transit Museum. The Cortlandt Street station opened as the line was extended south to South Ferry from 34th Street–Penn Station on July 1, 1918, and was served by a shuttle. The new "H" system was implemented on August 1, 1918, joining the two halves of the Broadway–Seventh Avenue Line and sending all West Side trains south from Times Square. An immediate result of the switch was the need to transfer using the 42nd Street Shuttle. The completion of the "H" system doubled the capacity of the IRT system. In 1965, Cortlandt Street west of Church Street was demolished to create the superblock of the World Trade Center. The station, with entrances at Vesey Street and inside the World Trade Center concourse, was separated from the remaining block of Cortlandt Street. In 1965 and 1966, the platforms were extended to accommodate ten-car trains. The old tiling and mosaics were removed and replaced with the 1970s-style varnished, tan-colored brick tiles. 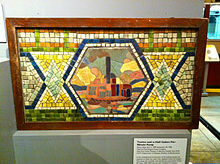 One of the Vickers mosaics was preserved in the New York Transit Museum. During the 1980s, when service levels across the subway system were decreased greatly from their heyday in the 1910s, the Metropolitan Transportation Authority installed the system's first train-frequency schedules at the Cortlandt Street station. Older timetables and maps elsewhere had been removed since they had become inaccurate. The station and the surrounding subway tunnels were severely damaged in the September 11, 2001 terrorist attacks from the collapse of Two World Trade Center, resulting in the closure of the line south of Chambers Street. The steel I-beams of the station were crumpled and the station roof collapsed, as the tunnel had been located 40 feet (12 m) underground, relatively close to ground level. Soon after the attacks, two options were considered: either the existing line would be repaired, or the tunnel would be diverted westward just to the north of the World Trade Center site before heading to a new terminal at South Ferry. The first option was chosen, and to quickly restore service to Rector Street and South Ferry stations to the south, workers demolished the remainder of the station and built walls where the platforms used to be. 975 feet (297 m) of tunnels and trackage, including 575 feet (175 m) of totally destroyed tunnels and tracks in the vicinity of the station site as it traversed Ground Zero, were entirely rebuilt. However, officials wanted only to reopen Rector and South Ferry stations at the time, and the Cortlandt Street station was to be closed completely, with no replacement. Eventually, it was decided that the Cortlandt Street station was to be rebuilt as part of the greater World Trade Center reconstruction project; since the station was such a vital one in the area, a permanent closure was infeasible. As part of the project, the East Bathtub was extended under the line to the eastern boundary of the site at Church Street. George Pataki, who was the governor of New York at the time, stated, "This is going to help more than a million people by restoring service, help the recovery of lower Manhattan and sends a powerful message that New York City can't be stopped." The Port Authority's chief engineer and others tried to convince him to temporarily shut down the line while the new transportation hub at the World Trade Center was under construction. The Governor's decision to keep the line open increased the cost of the project because the subway structure had to be underpinned. The line reopened on September 15, 2002, with trains bypassing the site of the Cortlandt Street station. The northern entrance at Vesey Street was under a staircase to the plaza above. After the World Trade Center collapse on September 11, the staircase still stood and became known as the Survivors' Staircase. The stairs were moved into the National September 11 Museum in July 2008. 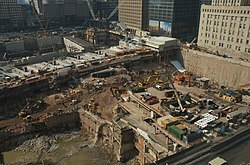 In 2007, the Port Authority of New York and New Jersey (PANYNJ), in the Environmental Impact Statement for the World Trade Center PATH terminal, expected the Cortlandt Street station to reopen in 2009.:8C-16 In October 2008, the PANYNJ stated in a report that it had come to an agreement with the MTA on reconstructing the Cortlandt Street station. The MTA would pay the Port Authority to rebuild the station as part of the Port Authority's World Trade Center Transportation Hub contract, in order to make the construction process more efficient. :50 The Port Authority was set to complete underpinning and excavation under the tunnel structure by the second quarter of 2010, and start basic construction of the Cortlandt Street station during the 3rd quarter. :50 In the second quarter report for 2010, the Port Authority of New York and New Jersey confirmed that excavation under the tunnel structure of the World Trade Center site was nearly complete, and that construction of the Cortlandt Street station would begin during the third quarter of 2010. Station finishes were set to start during the second quarter of 2011,:50 and work began on the station mezzanine and platforms in September 2011. The tracks were walled off for the protection of the workers while the construction progressed. From 2008 to 2011, the 1 train used an enclosed structure for a short distance when passing the site of the station, as a result of the massive excavation in the World Trade Center site. When the site was filled back in, the developers of the new World Trade Center rebuilt Cortlandt Street across the site as one of the primary roads, resulting in the rebuilt Cortlandt Street station again serving its namesake. Disputes between the PANYNJ and the MTA over who would pay for the renovation had caused the planned opening of the station to be delayed from 2014 to 2018. In 2013, the PANYNJ awarded a contract to rebuild the station. The first phase of the demolition of the original station cost $19 million. The area was still being rebuilt in December 2013, and in February 2015, the PANYNJ and the MTA agreed to finish the station. The part of the Broadway–Seventh Avenue Line on which the Cortlandt Street station is located, south of Chambers Street, was intermittently closed between May 2015 and 2018. This allowed construction at the station, which included station finishes, tiles and lighting, to resume. The MTA gained control of the Cortlandt Street station's reconstruction project in 2015. However, in January 2017, an independent engineer for the MTA said that the station's reopening could potentially be pushed back due to disagreements with station contractor Judlau Contracting. At that time, the MTA had spent $800,000 per month on the project, but it would need to spend four times as much money in order to meet the projected August 2018 deadline. The PANYNJ agreed to grant the MTA "full access" to the Cortlandt Street station in June 2017 once the temporary World Trade Center PATH entrance was demolished and the station's foundation was poured. The renovation included new Americans with Disabilities Act-compliant entrances with elevators, track-intrusion systems, fire alarms, Help Points, CCTV cameras, countdown clocks and air conditioning. A $1 million weaving-based artwork by Ann Hamilton was installed in the station. By September 2017, much of the communications, power, and ventilation infrastructure was being installed, but contractor work and Port Authority utility relocation were significantly delayed. According to the MTA's Capital Program Oversight Committee, the contractor had to more than double its productivity to ensure an October 2018 opening, with substantial completion in December 2018. In April 2018, several news sources affirmed the possible reopening date of October 2018. By June, the station wiring was complete, architectural finishes and turnstiles were being installed, and elevators and escalators were being installed. Station name signs with the text "World Trade Center" were being installed along the platform walls by August 2018. The reconstruction of the station ultimately cost $181 million, up from an earlier projection of $101 million. The original station was built at the intersection of Cortlandt and Greenwich Streets, in a part of Lower Manhattan nicknamed "Radio Row" because of the many electronics dealers on the street. It had a standard two side platform layout with two tracks. Prior to the station's first renovation in 1965, there were mosaic decorations by Squire J. Vickers depicting ships along each platform's wall. Red i-beam columns ran along the entire length of both platforms at regular intervals with every other column having the standard black station name plate in white lettering; the name plates alternated between "Cortlandt Street" and "World Trade Center". The rebuilt station is located under Greenwich Street, at the same location as the original station. It retains the two-track, two-side-platform layout, and is 20 feet (6.1 m) below the ground level. There are columns between the tracks, except where the station passes over the World Trade Center Transportation Hub toward its north end. There is also a crossunder between the two platforms at the north end of the station, north of the hub. The platforms feature gray i-beam columns with signs reading "WTC Cortlandt" on every other column. "World Trade Center" name signs are installed on the station's walls. There is a crossunder between the two platforms at the north end of the station. The station also contains an air-conditioning system. The 2018 artwork in this station is CHORUS, a $1 million, 4,350-square-foot (404 m2) weaving-based artwork by Ann Hamilton. This artwork features words from several documents, including from the United Nations Declaration of Human Rights and United States Declaration of Independence, embossed onto the station walls. The rebuilt station is connected to the Chambers Street–World Trade Center/Park Place/Cortlandt Street and World Trade Center PATH stations within the World Trade Center Transportation Hub. 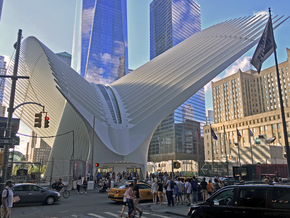 The WTC Cortlandt station is located just west to the World Trade Center Hub's head house, which is known as the "Oculus". There are a total of four entrances from the World Trade Center Transportation Hub. Two mezzanines underneath the tracks, at the north and south ends of the station, give direct access from the subway to the PATH. The northern mezzanine contains access to both platforms, while the southern mezzanine only connects to the southbound platform. There are additional entrances to the uptown platform from the Oculus building's upper balcony, as well as from the South Concourse, which connects to the basement of 3 World Trade Center. There is an out-of-system connection to the Fulton Center via the WTC Hub. The southbound platform has two direct exits to the street. The first is an elevator and stair at Vesey Street at the platform's extreme north end, and the second is a pair of staircases to Cortlandt Way at the station's extreme south end. The station is ADA-accessible via the elevator at Vesey Street, as well as existing elevators to the World Trade Center Transportation Hub. Additional elevators lead from each platform to the crossunder beneath the station. Prior to 9/11, the station's full-time entrance was located at the north end of the station at Vesey Street and West Broadway, where there was a turnstile bank and one full height turnstile. The token booth at this exit was still intact until the last remnants of the station were removed in 2007. The entrance to the World Trade Center Concourse consisted of full height turnstiles at the center of each platform and was only open on weekdays between 6:40 a.m. and 10 p.m.[f] At the station's southern end, there was an exit to Liberty Street through Four World Trade Center. ^ According to an internal MTA document, train conductors are explicitly told to spell World Trade Center's name out as the acronym "WTC" when making announcements for the station. ^ The hours can be seen in the following video at the 0:52 mark on the door. ^ a b c Martinez, Jose (September 7, 2018). "Sources: A long-awaited Manhattan 1 train stop will reopen Saturday". Spectrum News NY1 | New York City. Retrieved September 7, 2018. ^ "Restored 1 train service to WTC Cortlandt station". Facebook. New York City Transit. September 7, 2018. Retrieved September 8, 2018. ^ a b c Dunlap, David W. (September 27, 2016). "The Resurrection of Greenwich Street". The New York Times. Retrieved September 15, 2017. ^ a b c Brennan, Joseph (2002). "Cortlandt St". Abandoned Stations. Retrieved September 15, 2017. ^ Stoffman, H. J. (July 19, 1966). "Cortlandt Street Platform Wall: IRT West Side / Seventh Avenue Line". nytm.pastperfectonline.com. Retrieved September 6, 2018. ^ Levine, Richard (March 30, 1987). "SAVING THE SUBWAY'S LAST MOSAICS". The New York Times. Retrieved September 15, 2017. ^ a b "Terra cotta hexagonal plaque and tile border removed from the Cortlandt Street Station in the 1970s". nytm.pastperfectonline.com. 1918. Retrieved September 6, 2018. ^ Levine, Richard (January 5, 1987). "SUBWAY SCHEDULES COMING (AGAIN) TO A STATION NEAR YOU". The New York Times. Retrieved September 15, 2017. ^ Ellis, Elaine A. (February 27, 1993). "Getting out of area posed a problem for commuters". New York Daily News. Retrieved September 7, 2018. ^ "Commuters should brace for delays". New York Daily News. February 28, 1993. Retrieved September 7, 2018. ^ a b Permanent WTC PATH Terminal: Environmental Impact Statement. 2007. ^ Kennedy, Randy (September 13, 2001). "AFTER THE ATTACKS: TRANSIT; Part of Subway Tunnel May Have Collapsed Under Weight of Debris, Officials Fear". The New York Times. Retrieved April 15, 2018. ^ Alpert, Lukas I. (November 29, 2001). "Stations damaged in attacks may reopen in 2004". The Post-Star. Glen Falls, New York. Retrieved September 7, 2018. ^ a b Kennedy, Randy (January 4, 2002). "Subway Line In Attack May Reopen Much Earlier". The New York Times. New York City: The New York Times. Retrieved April 17, 2014. ^ a b c Rivoli, Dan (April 22, 2018). "No. 1 line to run again at Cortlandt St. station for first time since 9/11 destruction". New York Daily News. Retrieved August 24, 2018. ^ Sagalyn, Lynne B. (2016). Power at Ground Zero: Politics, Money, and the Remaking of Lower Manhattan. Oxford University Press. pp. 485–486. ISBN 9780190607029. ^ Kennedy, Randy (September 17, 2002). "Tunnel Vision; With Station's Reopening, Even Commuters Smile". The New York Times. New York City: The New York Times. Retrieved October 6, 2007. ^ Pinto, Nick (October 1, 2007). "Last Days Of The Lost Station". The Tribeca Trib. Archived from the original on January 11, 2010. ^ Dunlap, David (July 18, 2008). "A Last Glimpse of the Survivors' Stairway". City Room. New York Times. Retrieved April 22, 2012. ^ a b c "World Trade Center Report: A Roadmap Forward" (PDF). panynj.gov. 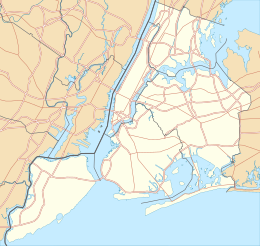 Port Authority of New York and New Jersey. October 2, 2008. ^ "World Trade Center Quarterly Report 2nd Quarter 2010" (PDF). Port Authority of New York and New Jersey. 2010. pp. 9, 11. ^ a b c d e Jennifer Fermino (September 7, 2011). "Cortlandt Street station comes back to life". New York Post. New York City: New York Post. Retrieved April 17, 2014. ^ Dunlap, David W. (May 8, 2008). "Ground Zero's Train in a Box, Above a Forest of Steel". The New York Times. ISSN 0362-4331. Retrieved September 15, 2017. ^ a b "NYC Subway Station Destroyed on 9/11 to Reopen in 2018". WNBC. New York City: NBC New York. February 23, 2015. Retrieved February 24, 2015. ^ a b c d Dunlap, David (April 28, 2015). "At Cortlandt Street Subway Station, Art Woven From Words". The New York Times. Retrieved April 30, 2015. ^ Jose Martinez (February 23, 2015). "Cortlandt Street Station, Destroyed in 9/11, to Get New Life". NY1. Retrieved March 11, 2015. ^ Barone, Vin (March 20, 2017). "Cortlandt Street station reopening could be delayed, again". am New York. Retrieved September 15, 2017. ^ a b "Capital Program Oversight Committee Meeting - March 2016" (PDF). mta.info. Metropolitan Transportation Authority. March 21, 2016. Archived from the original (PDF) on August 16, 2016. Retrieved July 5, 2016. ^ "Update on the Cortlandt Street Subway Station". Tribeca Citizen. June 15, 2017. Retrieved June 16, 2017. ^ "Capital Program Oversight Committee Meeting - September 25, 2017" (PDF). mta.info. Metropolitan Transportation Authority. September 25, 2017. pp. 60–79. Retrieved September 25, 2017. ^ Barone, Vincent (April 23, 2018). "Cortlandt Street station to reopen in October". am New York. Retrieved May 1, 2018. ^ "Subway station destroyed on 9/11 to re-open in October". ABC7 New York. April 23, 2018. Retrieved May 1, 2018. ^ Rivoli, Dan (April 22, 2018). "No. 1 line to run again at Cortlandt St. station for first time since 9/11 destruction". New York Daily News. Retrieved May 1, 2018. ^ a b "Capital Program Oversight Committee Meeting June 2018" (PDF). Metropolitan Transportation Authority. June 18, 2018. p. 29. Retrieved June 17, 2018. ^ a b c "Subway station destroyed on 9/11 finally ready to reopen". New York Post. August 24, 2018. Retrieved August 26, 2018. ^ a b Calisi, Joseph M. (September 6, 2018). "Cortlandt St. Station set to reopen with new name". DOWNTOWN EXPRESS. Retrieved September 7, 2018. ^ "Cortlandt Street Subway Station Back On Track, Slated To Open This Fall". CBS New York. February 23, 2018. Retrieved September 8, 2018. ^ a b Walker, Ameena (April 23, 2018). "Cortlandt Street subway station, destroyed during 9/11, will finally reopen". Curbed NY. Retrieved September 8, 2018. ^ "Cortlandt Street Station, Damaged on Sept. 11, Reopens 17 Years Later". The New York Times. September 8, 2018. Retrieved September 8, 2018. ^ a b c "NYC subway station at site of 9/11 attack reopens after nearly 2 decades". CBS News. September 8, 2018. Retrieved September 9, 2018. ^ a b "Capital Program Oversight Committee Meeting - September 2018" (PDF). mta.info. Metropolitan Transportation Authority. September 24, 2018. Retrieved September 23, 2018. ^ a b c d Dunlap, David W. (December 16, 2004). "Blocks; At Site of New Tower, a Game of Inches". The New York Times. Retrieved February 19, 2018 (a diagram is available here). ^ "Lost and Found Sound: The Stories". NPR. February 14, 2002. Retrieved September 15, 2017. ^ "IRT Cortlandt St/WTC station looking south along southbound platform". nycsubway.org. New York City Transit. September 28, 2001. Retrieved September 7, 2018. ^ "Tracks of the New York City Subway". 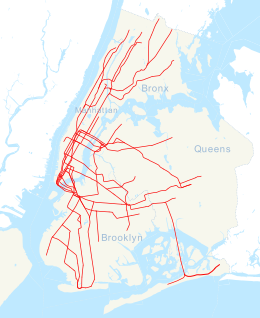 Tracks of the New York City Subway. Retrieved October 9, 2015. ^ a b c "Press Release - NYC Transit - MTA Opens New 1 Subway Station at World Trade Center". MTA. September 8, 2018. Retrieved September 10, 2018. ^ a b c Alberts, Hana R. (April 30, 2015). "9/11-Shuttered Cortlandt St. Stop Begins Road to Reopening". Curbed NY. Retrieved December 25, 2016. ^ a b c d e Musluoglu, Subutay (October 2018). "MTA New York City Transit Opens WTC Cortlandt Station On The 1". Electric Railroaders' Association Bulletin. 61 (10): 1, 7. Retrieved April 10, 2018 – via Issuu. ^ "IRT Cortlandt St/WTC station". nycsubway.org. New York City Transit. September 28, 2001. Retrieved September 7, 2018. ^ Yee, Vivian (November 9, 2014). "Fulton Center, a Subway Complex, Reopens in Lower Manhattan". The New York Times. ISSN 0362-4331. Retrieved September 15, 2017. ^ "Vesey St. entrance to Cortlandt St. station". nycsubway.org. New York City Transit. September 28, 2001. Retrieved September 7, 2018. ^ "Vesey Street Turnstile Bank". nycrail.com. September 28, 2001. Archived from the original on April 15, 2002. Retrieved September 7, 2018. ^ Glassman, Carl (July 5, 2017). "Waiting for the #1 Train: WTC Station to Open at End of Next Year". tribecatrib.com. Retrieved September 7, 2018. ^ Anastasio, Joseph (July 13, 2006). "The Abandoned Cortlandt Street station and the 9/11 Line - LTV Squad". ltvsquad.com. Retrieved September 7, 2018. ^ "The Mall at the World Trade Center; New York, New York - Labelscar: The Retail History Blog". Labelscar: The Retail History Blog. September 11, 2006. Retrieved September 7, 2018. ^ Gittrich, Greg; Donohue, Pete (January 16, 2002). "$1M-A-Day Fix For WTC Subway". New York Daily News. pp. 18–19. Retrieved September 7, 2018. ^ "Lower Manhattan Subways & Buses as of Sun 10/28 3 pm" (PDF). mta.nyc.ny.us. Metropolitan Transportation Authority. October 28, 2001. Archived from the original (PDF) on November 9, 2001. Retrieved September 7, 2018. Joseph Brennan (2002). "Abandoned Stations: Cortlandt Street". Retrieved April 17, 2014.